Awareness can be measured by investigating the patterns of associations between discrimination performance (first-order decisions) and confidence judgments (knowledge). In a typical post-decision wagering (PDW) task, participants judge their performance by wagering on each decision made in a detection task. If participants are aware, they wager advantageously by betting high whenever decisions are correct and low for incorrect decisions. Thus, PDW—like other awareness measures with confidence ratings—quantifies if the knowledge upon which they make their decisions is conscious. 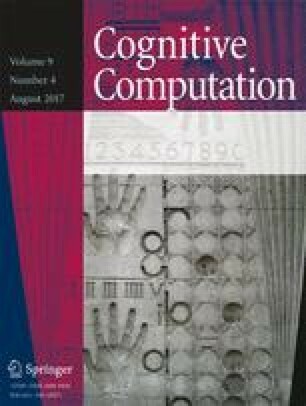 The present study proposes a new method of assessing the association between advantageous wagering and awareness in the PDW task with a combination of log-linear (LLM) modeling and neural network simulation to reveal the computational patterns that establish this association. We applied the post-decision wagering measure to a backward masking experiment in which participants made first-order decisions about whether or not a masked emotional face was present, and then used imaginary or real monetary stakes to judge the correctness of their initial decisions. The LLM analysis was then used to examine whether advantageous wagering was aware by testing a hypothesis of partial associations between metacognitive judgments and accuracy of first-order decisions. The LLM outcomes were submitted into a feed-forward neural network. The network served as a general approximator that was trained to learn relationships between input wagers and the output of the corresponding log-linear function. The simulation resulted in a simple network architecture that successfully accounted for wagering behavior. This was a feed-forward network unit consisting of one hidden neuron layer with four inputs and one output. In addition, the study indicated no effect of the monetary incentive cues on wagering strategies, although we observed that only low-wager input weights of the neural network considerably contributed to advantageous wagering. This work was supported by the National Science Center under grants’ decision DEC-2011/03/B/HS6/01799 to R.S. We thank Tomasz Guszkowski for designing neural computation. This study was funded by the National Science Center (grant number 2011/03/B/HS6/01799).